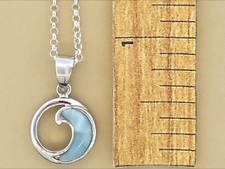 The perfect blue wave - larimar inlaid in a sterling silver circle wave pendant. 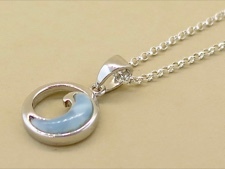 This necklace is sweet enough to wear all the time, and is also ideal for layering with other necklaces. 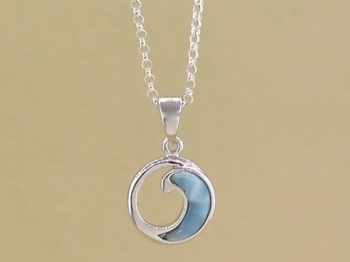 Lends a spiritual connection to our crystal blue Caribbean waters. You may never take this lovely reminder off.